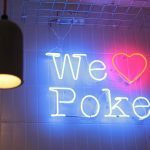 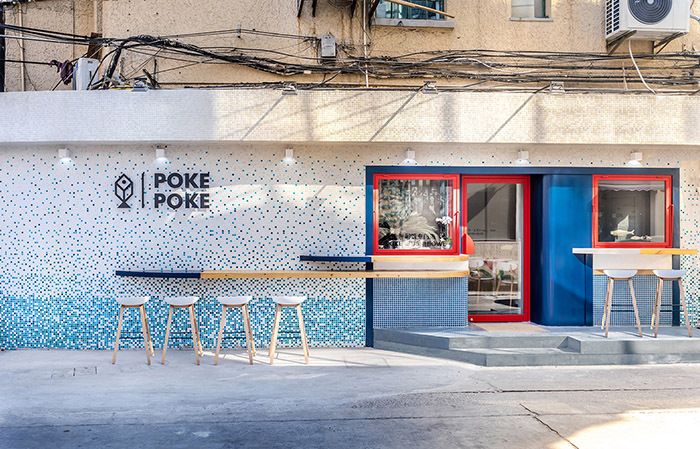 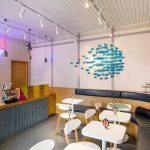 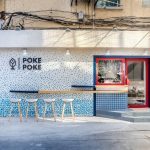 STUDIO DOHO developed an “Urban Surf” concept for new Shanghai-based restaurant POKE POKE. 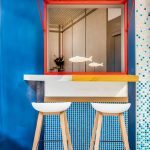 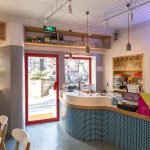 The 32 sqm project, situated on the ground floor of an old Shanghainese lane house in the Jing’an District of the city, makes a bold statement with its gradient blue façade and surfboard inspired countertops. 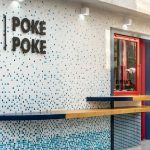 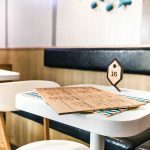 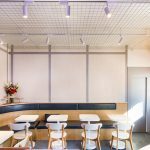 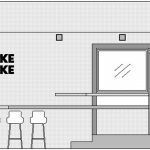 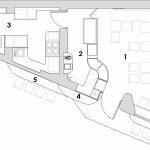 The client’s brief challenged the designers to create a modern eatery that reflects the Hawaiian origins of its food within the constraints of the small space. 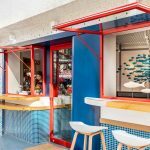 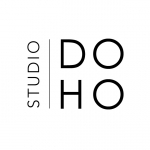 STUDIO DOHO created outdoor bar counters that transition into the ordering area, while linking the interior and exterior space. 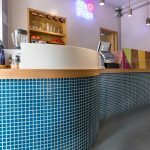 The counter-tops with a colorful surfboard tip to integrate them into the façade. 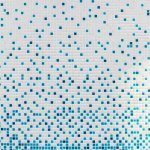 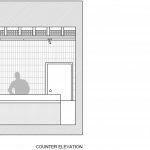 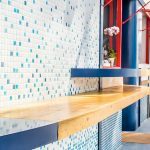 The storefront was designed with a gradient tile mosaic that transitions from ocean blue to white, adding color to the streetscape.